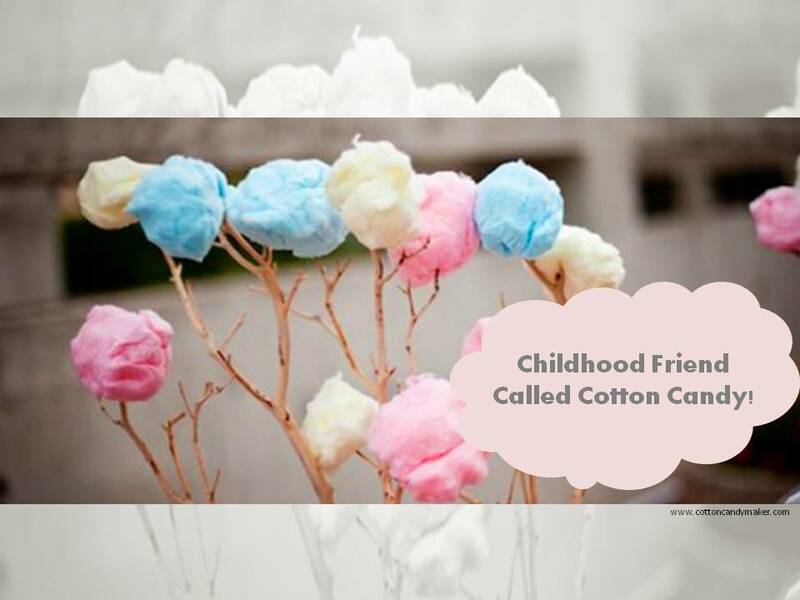 #MyDessertProject: Childhood Friend Called Cotton Candy! When I thought of starting a series about desserts, I did not know that I am signing up for such amazing surprises. I love desserts, which is quite evident by now, and I love to know my dessert pretty well! I love cotton candy. And there is no particular reason for that. Or maybe it is because Just I did not have enough cotton candy when I was young. 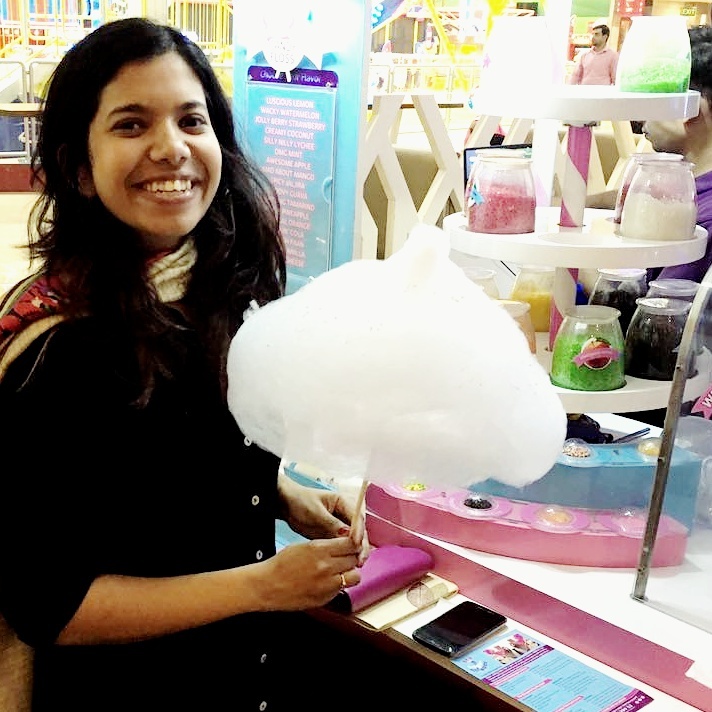 Budhhi ka baal - as it was called while growing up- or cotton candy or candy floss or fairy floss is actually older than we all think. But before that, let me come back to a quick fact about the name Budhi ka Baal. I was very puzzled from the beginning that why do we call something so cute like that? I couldn't find the answer and then I realized that we are Indians. No matter what, we will always go by the face value. Before the coloured sugar crystals were introduced, cotton candy came to India in the plain white colour. It is rough, white and amorphous and thus it got the name! I am sure if it was introduced today, we wouldn't have called it that. Because hair colour, duh! The least of calorific of all the desserts(as its just air! ), the process of making cotton candy is pretty scientific. And is rumoured to be a modern invention. However, cotton candy dates back to the 15th Century when Henry III was welcomed in Venice with this sweet treat. Not just that, Napolean's wedding cake was decorated with the handspun sugar syrup. It was not until the late 19th century that this labour intensive sweet got a revolutionary twist when a dentist named William Morrison, with the help of a confectioner named John Wharton, invented the cotton candy machine. Even then, today, cotton candy remains out of the reach of the pockets of most! That is good - too much of sweetness is bad as well! Cotton candy has come a long way! With too many flavours and embellishments to choose from, I am sure that no other dessert can every take place cotton candy's place in my life! Do you love cotton candy too? What is your fanciest cotton candy experience so far? Share in the comment section below! Good post. Thanks for sharing with us. I just loved your way of presentation. enjoyed reading this .Thanks for sharing and keep writing. It is good to read blogs like this. custom essay writing service As constantly, we appreciate yourself assurance and accept as true within us.